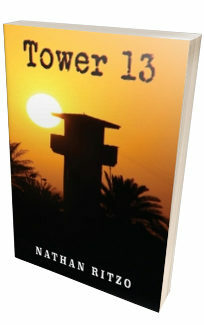 Have you ever had the strong desire to move across the country and experience a dramatic change of lifestyle? What would happen if you did and how well would you adjust to it? Stay West, Young Woman! 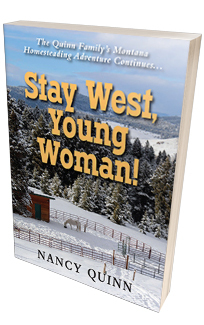 continues the true homesteading adventures from Go West, Young Woman!, the story of how an inexperienced military family makes the dramatic transition from eastern urban living to “retirement” on a rugged Montana mountainside. Continuing to face mercurial weather, unorthodox neighbors, wild animals, and the challenges of an ever expanding family of dogs and horses, they greet their days with determination and a sense of humor, as they decide their fate while living life along America’s great Continental Divide.